The newly acquired defender is spending his first season with crown and seem to have won heart of many including the fans in his defensive role. He was such a huge savage of the crown side when they confronted hard fighting Police team in pen ultimate weekend. Returnee Navy midfielder is no doubt the oldest player in the league now. Oldest in regard CPL appearances. 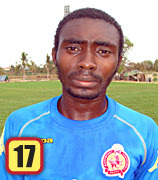 His debut was with Khamera Keila FC in 2007/2008 season. 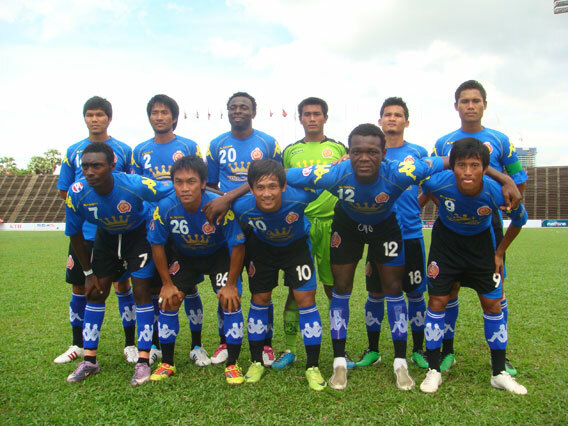 Bode has played under different premier league teams with a stint on Kirivong outfits last two seasons. So far he's being very impressive with newly promoted Navy team. 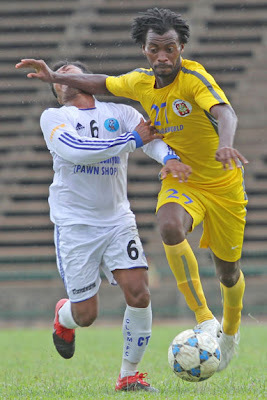 He played a major role in superlative first league win of 3-2 over yet another newly promoted side. 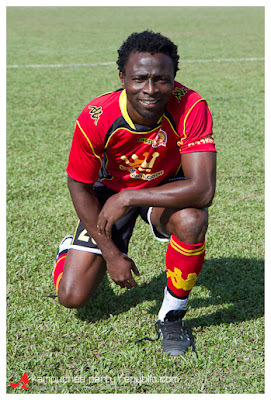 Former Esian United midfielder turned striker has brought hope to the Naga Corp FC since his arrival. He has 12goals to his league debut and this has left many with no expectation as to how much longer he can get when the second round finishes in September. Three hat-tricks and two single handed goals. 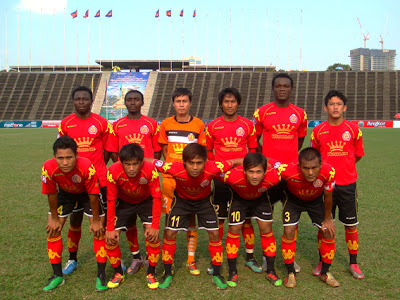 Players like Dzeko, Torres and others struggled in their first league appearances but Julius dangle goals for Naga FC which has seen them to 2nd place on current league table. Kenny is 2nd long lasting player on the league now. 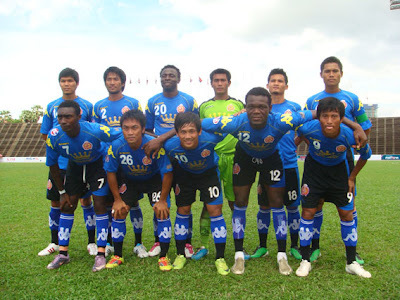 Kenny made his debut in 2007/2008 season under Baksey Chamkrong FC, Siem Reap. Kenny fondly call Essien due to his hard and rough tackle patter of playing. 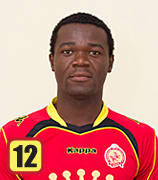 Kenny is a power playing midfielder helping Crown FC to possible secure a league title in the current season. Kenny was signed into crown on Pre-season shopping in order for croen to have a formidable team to contend for the title on the on going season. Kenny was also part of the crown squad that secured their runner up ticket to the next round of AFC President Cup in Singapore. Lanky but strong striker has actually hit form since joining the crown side. He's being regular in first team and has helped his team secured runner up ticket to the AFC President Cup set to kick off in Singapore shortly in June. Kingsley is hard fight and sharp shooter. He's also a team player and plays as a front man. 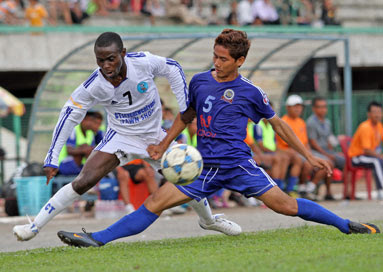 Crown beat Army team to reclaim top position in the current on going MCL season. League is being sponsor by mobile phone giant, Metfone! I'm Harry and my interests are varied. You can email me on alasco1990@gmail.com All blog contents are my copyright unless credited. Is Stephanie Okereke actually pregnant? Nollywood Actor Jim Iyke: I am alive! Are Any Of These African Actors Hollywood bound? Nolloywood Actresses Go Beyond Hot !